Does my Floor have to be Level to Install Tile? 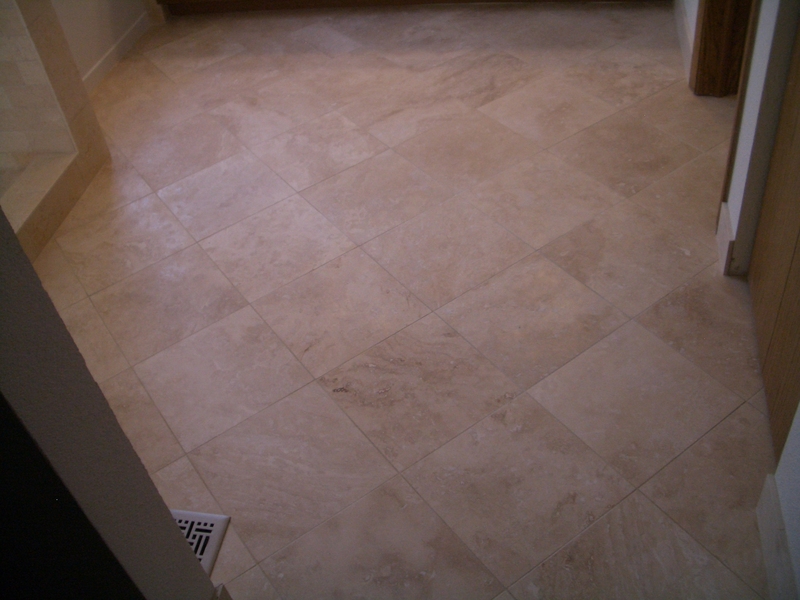 Before installing tile on your floor you must make sure your floor is properly prepared. A properly prepared floor does not have to be level. It must, however, be flat. The only time the levelness (is that a word?) must be taken into consideration is when drainage is an issue, such as on a porch or in a shower. In those cases you must make sure your floor is not level – it has to be angled toward a drainage area. If your floor will not be subjected to water regularly, such as a kitchen or bathroom floor, it does not necessarily have to be level. That does not mean you can have a 45 degree angle from your door to the cabinet (although I suppose you could if you wanted), it just means if your floor is not absolutely level it will not negatively affect your tile installation. One of the things you must make sure of, among other things, is that your floor is flat. If it is not it will be difficult to set your tiles without what we call “lippage”. That’s a ridiculous word, isn’t it? Lippage simply describes the difference in the height of two adjacent tiles. If you have a tile that sticks up higher than the tile next to it you have lippage. You don’t want that. Starting with a flat floor helps prevent it. When prepping your floor for tile trade your level for a straight edge. Don’t be concerned with how level your floor is, be concerned with how flat it is.